When it comes to selecting books to buy, every age has its own challenges. For babies, they are generally happy with any book, but beware: you're going to be reading those books hundreds of times, so it's really important that you don't purchase books that will annoy you, the reader. For the 3-5 age group, children are more selective, and while they will still read their favorites several times over, they will just as quickly toss aside books that don't interest them. So for this age group it's important not to spend money on books your kids won't love. Nothing is more frustrating than buying a book for your kid, just to have it sit on the shelf collecting dust for the rest of forever. (Well there might be a few things more frustrating...) It's probably wise to go to the library and test books out to see how your kids respond to it before purchasing. Below are a few that are definitely worth looking into, though, and just might be purchase-worthy. Before jumping into the list, it's worth mentioning that 3-year-olds and 5-year-olds have different interests in books, depending on their maturity, reading skills, hobbies, etc. So while this list encompasses the 3-5 age group, there is definitely a range within that group. Some of these books will be too advanced, others too juvenile, and others just not something that will hold your child's interest. Once you glance through them, though, you'll quickly be able to determine which is best for your kid. Picture This by Alison Jay: This book teaches perspective. Each page gives a picture that is connected to the picture that came before and the picture that comes after by virtue of perspective. Kids will enjoy seeing how each picture is associated with the picture that came before, and finding the clues that hint at what's coming next. 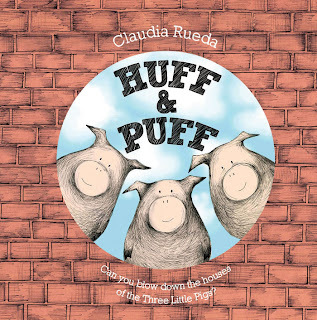 Huff and Puff by Claudia Rueda: Sometimes it seems like there is a gap in the picture book world between board books and traditional picture books. This book fills that middle space well for kids who are just learning to follow a narrative. This book is fun and engaging, with just enough of a story for children in that transitive period. 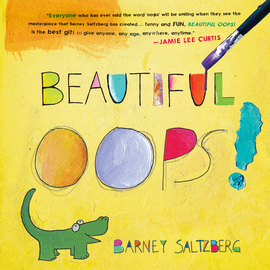 Beautiful Oops by Barney Saltzberg: This book celebrates the oops in life. A spill becomes a funny looking animal, a tear in a paper becomes an alligator's mouth, etc. This book fosters creativity and helps remove anxiety from mistakes. Goodnight, Gorilla by Peggy Rathmann: A bedtime story with a mischievous streak. Follow the rogue gorilla around the zoo for a few laughs before bed. This one also fits that spot between board books and traditional picture books. Good for kids just learning to pay attention to slightly more detailed stories. Not a Box by Antoinette Portis: You've all seen the kid who receives a colorful new toy, and then proceeds to spend the rest of the afternoon playing with the box it came in. That's what this book is about. A rabbit turns a simple box into everything from a rocket ship to a mountain with nothing but its imagination. I'm a huge fan of imagination, and so I think this book is a worthy read. 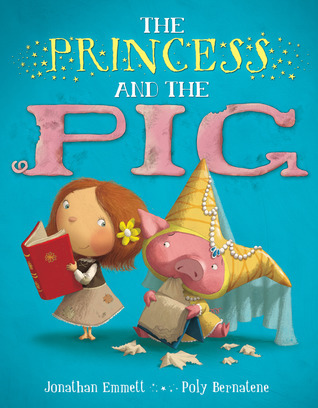 The Princess and the Pig by Jonathan Emmett: There's been a terrible mix-up in the royal nursery. Priscilla the princess has accidentally switched places with Pigmella, the farmer's new piglet. Follow the story of Priscilla and Pigmella in this sweet and funny twist on the old switched-at-birth tale. 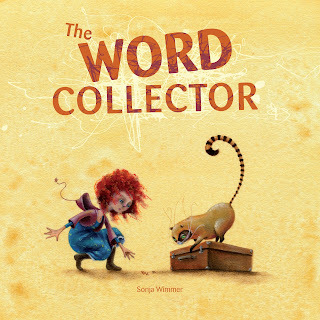 The Word Collector by Sonja Wimmer: Luna loves words, but one day discovers that her beloved words are beginning to disappear, so she decides to do something about it. 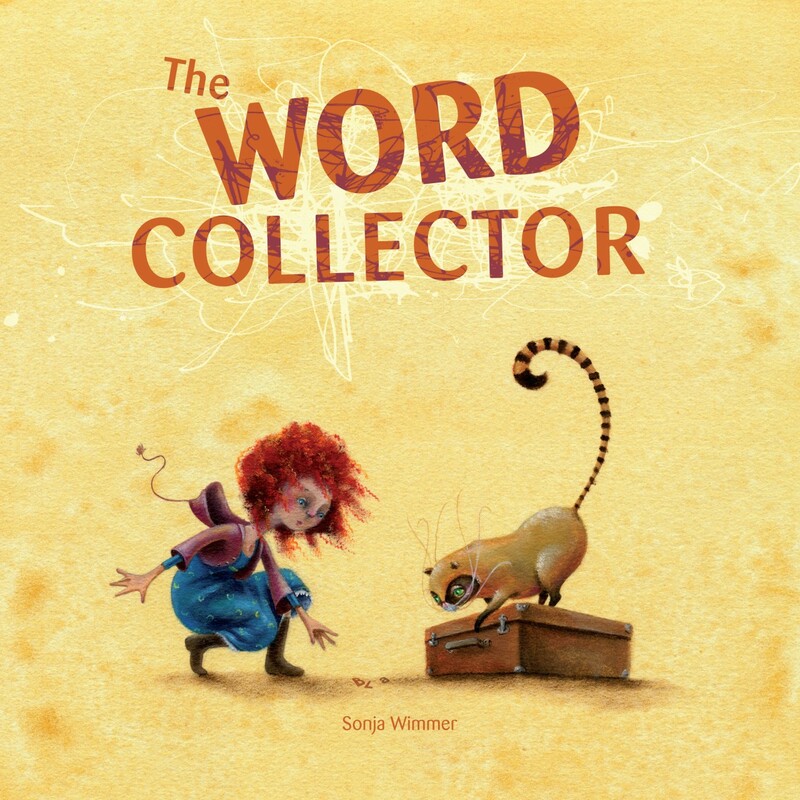 Lovely illustrations and a good message on the delight and power of words make this book worthwhile. The Legend of Lightning Larry by Aaron Shepard: This is a feel-good story without being cheesy. Good for kids who like cowboys, for parents who like a moral in their stories, and for everyone who likes lemonade. 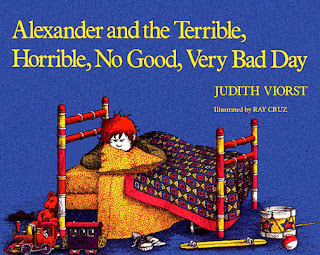 Alexander and the Terrible, Horrible, No Good, Very Bad Day by Judith Viorst: What kid doesn't need to know they're loved even (especially?) when they're grumpy? This is a classic, and should definitely be passed on to the next generation. 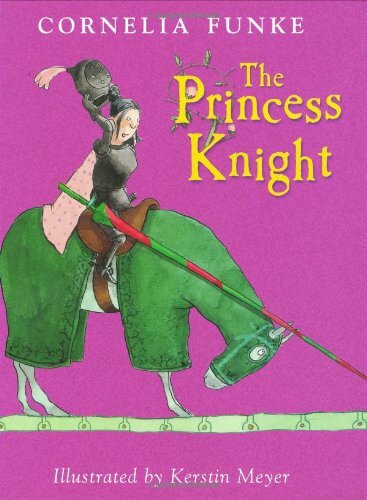 The Princess Knight by Tobias Cornelia Funke: You know all those lists on Pinterest talking about "books about strong girls" for your kids? This book is on all of them. It teaches about bravery, resourcefulness, and intelligence, but it isn't preachy about it. It simply tells a good story and teaches a good message. I'm on board. This Farm is a Mess by Leslie McGuire: When the mess on the farm gets to be out of control, the farm animals decide to take matters into their own hands. This one was a perennial re-read during my childhood. 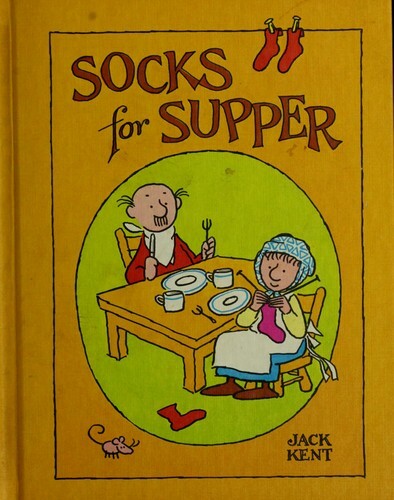 Socks for Supper by Jack Kent: A poor couple exchanges socks for cheese and milk, but get something unexpected in return. Good ethical undertones within a truly enjoyable story. I'm just now realizing that the man in both This Farm is a Mess and Socks for Supper look exactly the same, despite having different illustrators. Apparently, when I was a kid, I had a soft spot for bald, mustachioed, illustrated old men. Again--a great list! We have Not A Box and Not A Stick, (and if you haven't read them, I'd suggest Little Pea, Little Hoot, and Little Oink, too--my kids LOVE them!). I'm not sure if you have this planned as part of your series, but I was wondering if you'd be able to post about books for advanced readers? I have a 3rd grader who is reading well above her grade level (by like 2-3 grades), but so many of the more advanced books are too mature for her at this point. 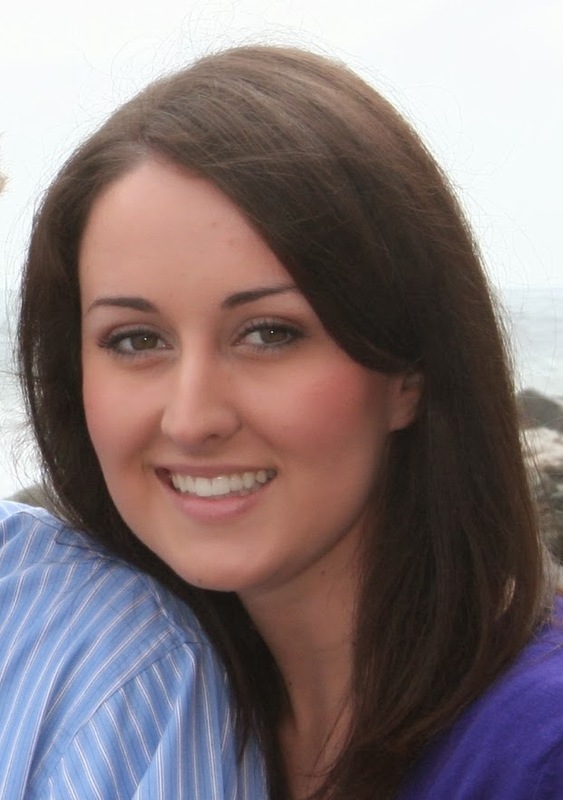 I'd love more suggestions for books she could read. (She loved Little House On the Prairie and the Ramona series.) Thank you in advance! Thanks! I'm glad you're enjoying the series. I don't have a list of books for advanced readers compiled YET, but it seems like a list of that sort is needed. Advanced readers do tend to read a lot, so parents of advanced readers are always on the lookout for something that matches both their child's age and ability. Give me a week or two to do some research and I'll post a list! Thanks for your response! :) No worries on the timing. I'll look forward to the list--whenever it happens! Love these suggestions!! We have too many books that should never have been bought!! I would love to clean out and replenish with some of these! Thanks!!! Thank you! It's tricky to know which books will be cherished by children over and over, and which will just sit on the shelf collecting dust. On the plus side, I remember as a kid discovering a few of those books that had been collecting dust for years, and it was like this magical revelation: just because it had been ignored doesn't mean it's not worth reading! A valuable lesson that I took with me when I visited the darker, more neglected corners of the library. Maybe some of yours will be discovered in a similar vein in a year or two. Harold and the purple crayon was definitely worth the cost of a few gallons of paint! Lightning Larry is one of my all-time favorites. How can you not love someone who strikes fear into the hearts of bad men everywhere? Stinky Steve and Sickening Syd are legendary around here. Another long standing favorite is Double Trouble in Walla Walla, as well as the Ducks on A Bike and Little Bear series. All tried and true favorites, and worthy of their spot on any bookshelf.